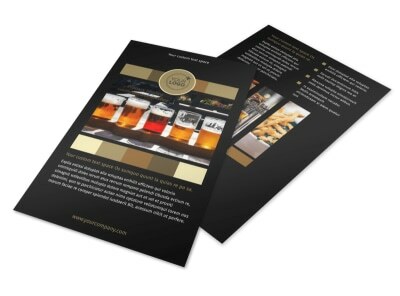 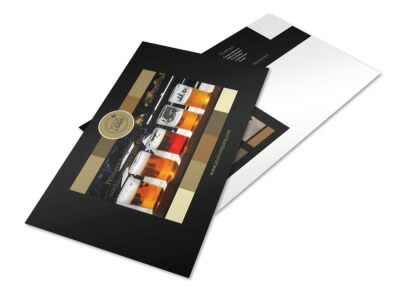 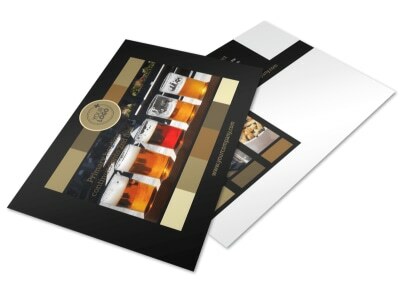 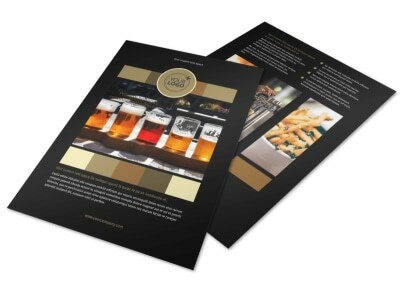 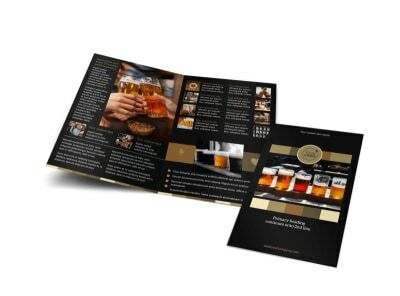 Customize our Brew Pub Brochure Template and more! 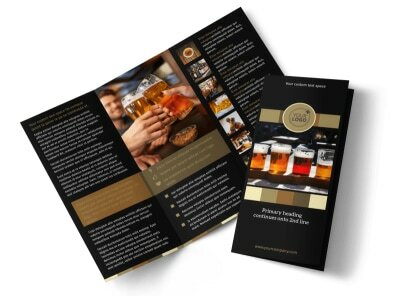 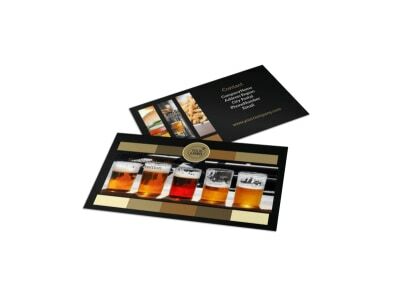 Make it easy for customers to choose what to eat and drink when they visit your pub with brew pub brochures featuring a list of all the brews you have on tap, as well as the appetizers, entrees, and desserts you offer. 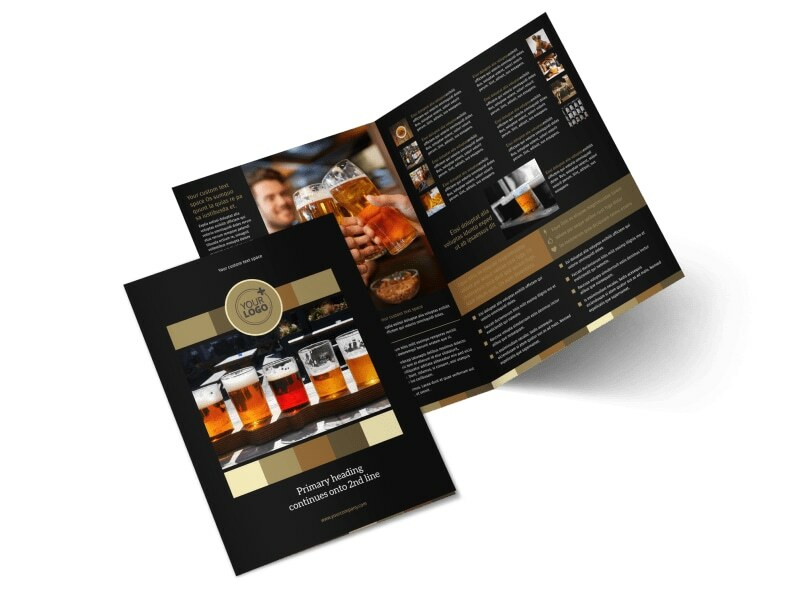 Choose a bifold or trifold template to customize with images of menu items, as well as descriptions of each item you have to offer to help customers make an educated choice. 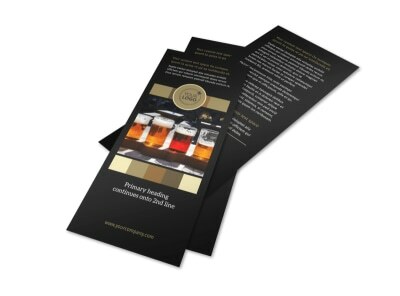 Start designing your brochures now.